Glenna Gardiner, a retired nurse from Edmonton, Canada, thought so little of a painting handed down by her dad two decades ago that she kept it hidden away in her basement, and mailed it away as a “gag” gift to a friend in British Columbia for her 70th birthday. Recently authenticated as a preparatory sketch by the painter Tom Thomson for a larger piece now in the National Gallery of Canada, the work is being auctioned at Heffel in Toronto next week, with a high estimate of C$175,000 ($135,000). 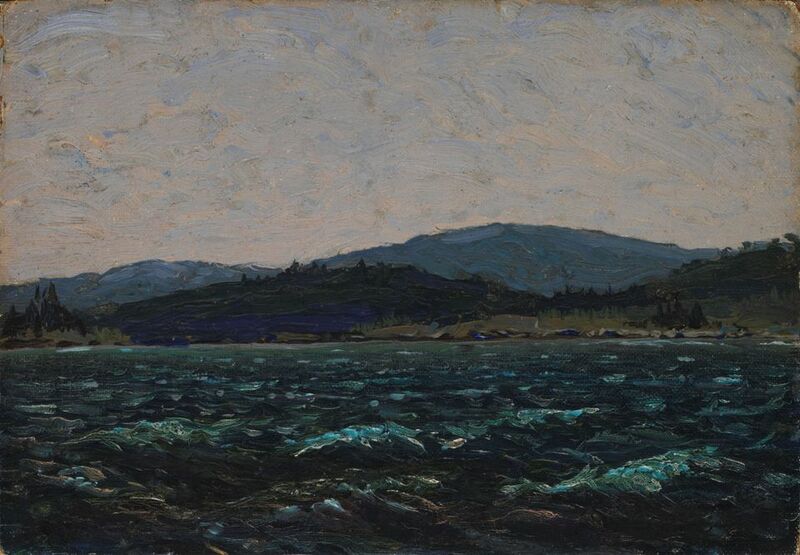 Gardiner’s father had long claimed that the small landscape, showing a choppy lake and mountains, was by Thomson, the unofficial eighth member of the Group of Seven artists. (The collective formed two years after his death by drowning during a canoeing trip). But her dad was a prankster, Gardiner said, so she never believed him. Her nursing school friend Marit Mayne showed an interest in it and thought the work merited a closer look. After Gardiner sent her the sketch as a birthday gift, the two struck a deal: they would take a Mediterranean cruise if it turned out to be “worth something”, Gardiner tells us. 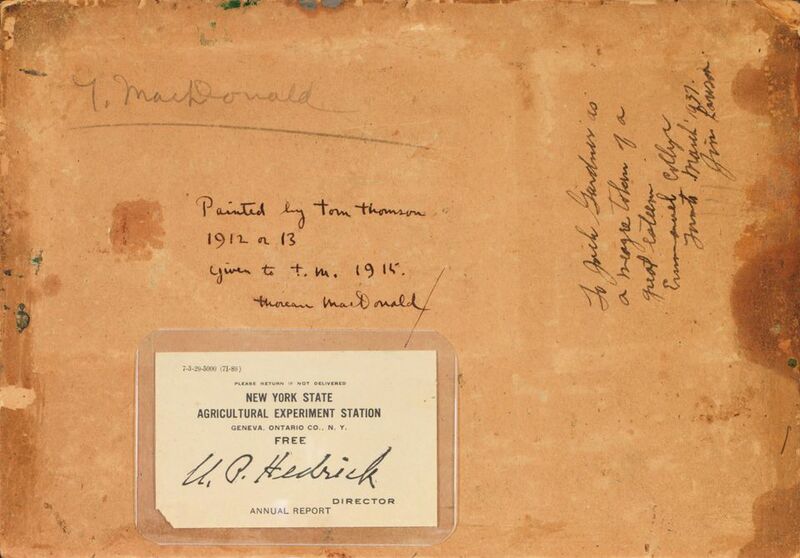 At the auction house’s offices in Vancouver, its vice-president Robert Heffel uncovered an inscription on the back attributing the work to Thomson, and a conservation lab found the painting includes “Freeman’s White”, a type of pigment only used by the Group of Seven artists at the time. The work, now titled Sketch for Lake in Algonquin Park (1913), goes up for auction on 30 May, with an estimate of C$125,000-C$175,000—although several Thomson sketches have realised seven figures at Heffel sales in the past.